The New COHIBA Collection 2 comes in a smooth matte yellow color tin with a black embossed logo in the center. Counterbalancing Collection 1 that came in a smooth black matte finish with the logo being yellowish/Gold. (refer to older post for pictures). 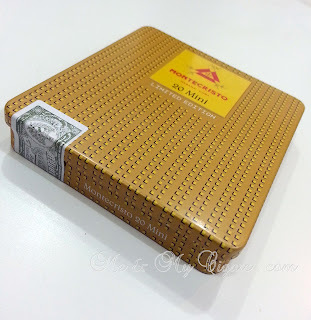 The MONTECRISTO new limited edition Tins comes in its signature color of matte mustard yellow while the Logo is embossed with a glossy finish. The Partagas new Tins are that of a highlight to the new special releases by Habanos. 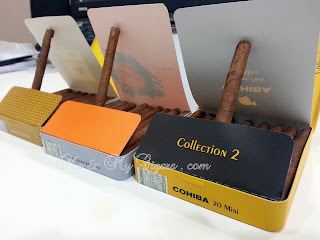 Previous tin release had the same paper box design that the cigarillos came in, but the new one come in completely different. 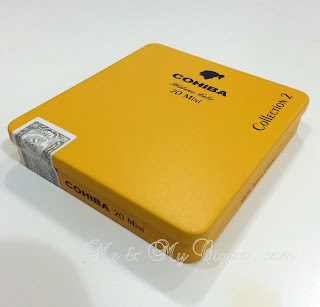 smooth silver matte finish with a huge embossed logo with gold prints on the upper left corner. 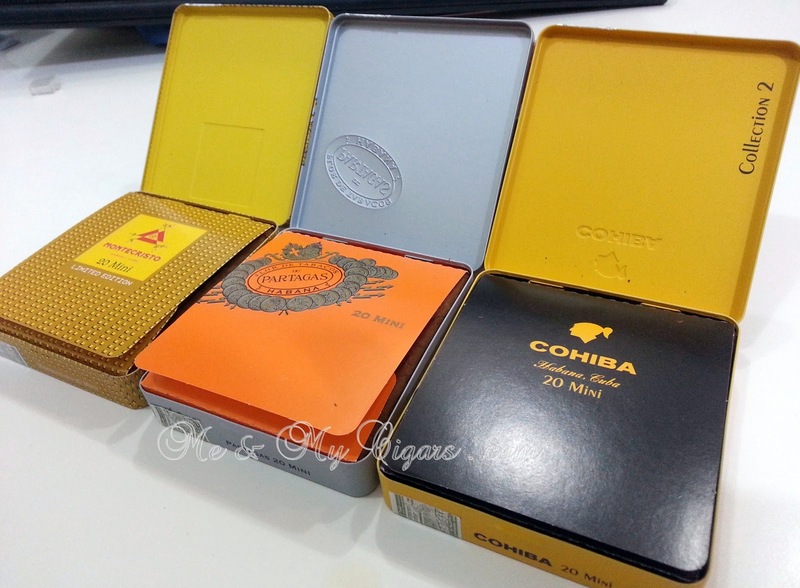 The COHIBA tin inlay paper inside is black with a yellow logo. The MONTECRISTO paper inlay is similar to the outer design. 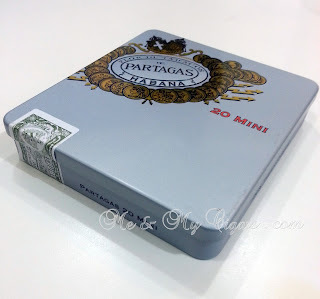 As for the PARTAGAS, the inlay paper inside is a bright orange, which really standout with the silver tins! These collector items have hit the shelves around LCDH shops and distributors early October. 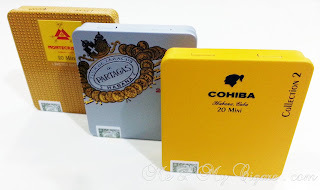 Better get yours before they all disappear!